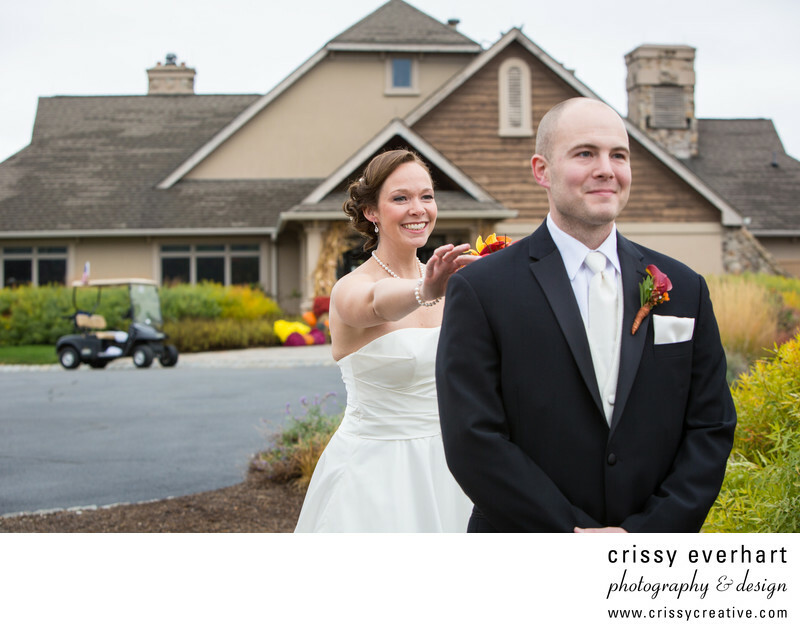 This bride eagerly taps the waiting groom on his shoulder as she prepares to see him for the first time in wedding attire! This is in front of the Ballyowen Golf Club, where our golf cart is waiting to take us around the course for photos! Location: 137 Wheatsworth Rd, Hamburg, NJ 07419.